Recently, I got invited by PPP Laser Clinic to try out their 360 Solution – an all-in-one treatment that targets various skin issues that we face such as irregular skin texture, pigmentation, scarring, uneven skintones and dullness. 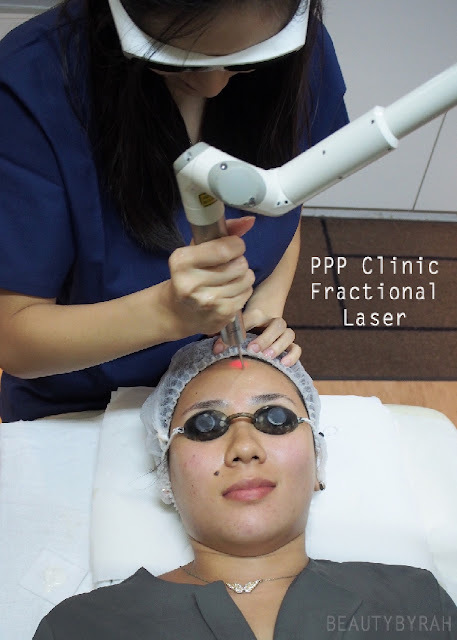 PPP Laser Clinic was founded in Singapore and is a global medical aesthetics care provider and provides safe and effective professional aesthetics care to their customers. Using state of the art technology, the medical aesthetic treatments are personalised and programmed to treat and suit every individual's needs in order to maximise results. 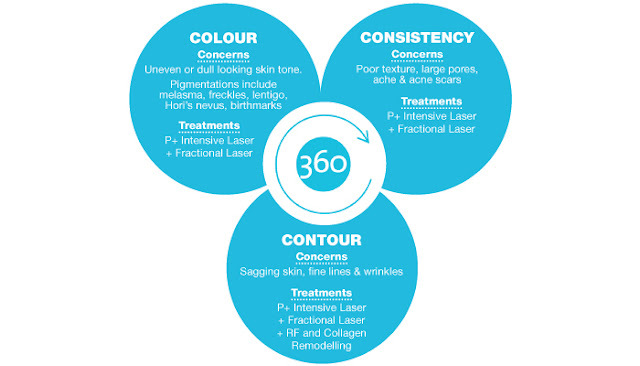 The 360 Solution targets various skin conditions based on the 3 main skin issues we face - problems associated with Colour (uneven or dull skin tone and pigmentation), Consistency (texture, pores and scarring) and Contour (lack of firmness, fine lines and wrinkles).In this treatment, there are 5 diffferent treatments available – P+ Intensive Laser Treatment , Collagen Remodelling, Fractional Laser, Radio Frequency Skin Treatment and Ion Infusion. 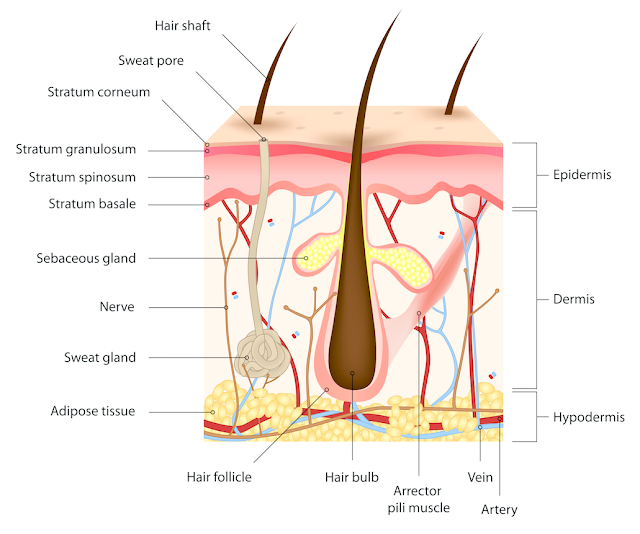 Due to poor skincare regimes and basically picking at my skin when I was younger, my primary skin issue is skin texture. I have quite a few depressions in my skin as well as large pores, especially near my nose. Depending on your needs, the processes are tailored to suit your needs. Simply remove your makeup and head into a consolation with the in-house doctor for recommendation on the treatments. After consultation, he recommended me to try all 5 treatments. I did, and the entire process took about 40 - 45 minutes, which is really quick. 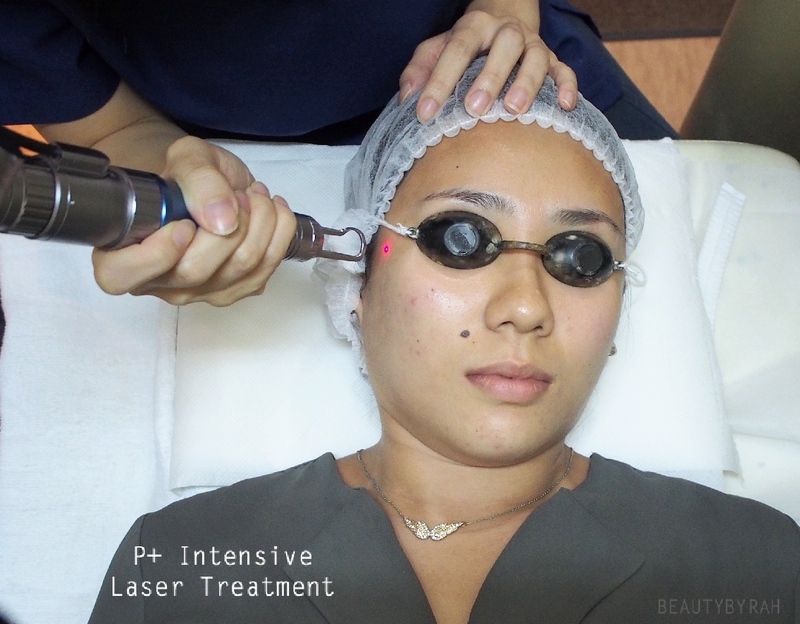 P+ Intensive Laser Treatment is a non-ablative (non-invasive, meaning it does not vaporise the outer layers of the skin) laser treatment that targets rejuvenation of the epidermis and upper dermis of the skin. This aids in dispersing of melanin within the skin layers and controlling melanin formation, deep cleansing of pores, controlling of oil glands and in the stimulation of new collagen growth. As this was my first time, I have to say that this was slightly uncomfortable as the laser produces immense heat and sensation, to me, feels like ants are biting on my face. Next, we move onto the Collagen Remodelling to help firm the skin. This targets the collagen layer of the skin and new growth of collagen is stimulated to improve the elasticity of the skin. As we know, collagen is responsible in keeping our skin firm. This aids in the reduction of facial lines and wrinkles on the surface of the skin as well. This is a quick way to get a face lift in a sense, as it takes a short time to complete the treatment. This is followed by the Radio Frequency Skin Treatment where radio frequency electromagnetic energy is delivered to the skin via an electrode. This promotes better oxygen supply and greater toxin clearance. Apologies, I can't seem to find any pictures taken for this step! The second last step was the Fractional Laser. This delivers a laser beam to repair beneath the skin to remove superficial epidermal pigmentation and reduce pore size. It is also supposed to help in the lightening of acne scars and reducing the appearance of wrinkles. This was my most anticipated step (as mentioned before, I would very much like to reduce the texture on my skin) and in my opinion, was the most painful. I could not help wringling a little but I kept reminding myself, no pain no gain, am I right? 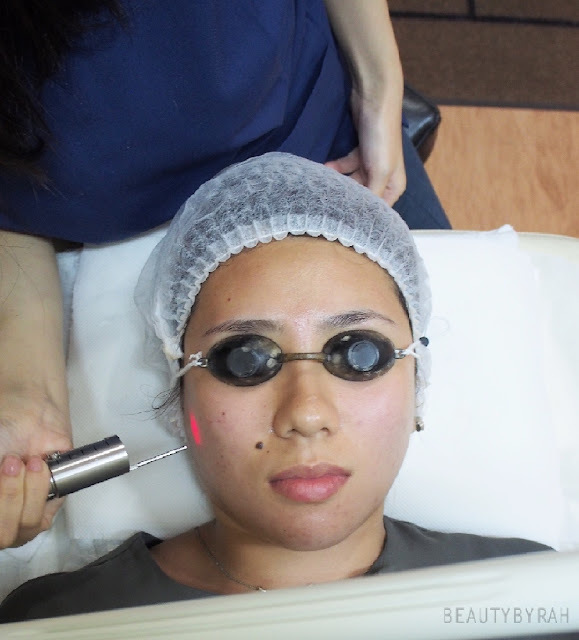 After all the intense heat from the laser, the skin inevitably will lose moisture. This is where Ion Infusion comes in as the last step of adding hyaluronic acid to the skin will help the skin to retain moisture and stay hydrated. As the laser treatments before increase the permeability of the skin by creating micro-holes, this process will allow deep penetration of the serum to effectively hydrate the skin. This felt lovely against the skin as the machine was cooling and helps the skin to calm down from the previous treatments involving heat. After the whole process, my skin was red in some areas, but every individual reaction will differ. It felt slightly stingy as well after, and that lasted till the next morning. It was recommended to me to not wash my face that night as products used could contain alcohol and will cause intense stinging. Another tip was to moisturize, moisturize, moisturize. At night, my skin felt tight so I decided to add a layer of moisturizer over. Man, that stung. Even though I clearly analysed my moisturizer to clear its ingredients list from alcohol, it still hurt pretty bad. Due to the laser, the skin is expected to peel and the downtime was estimated to be about a week or so. As these procedures are non invasive, it is fine to put makeup over it (which I did for the first day). Day 1 after the treatments. You can slight peeling of the skin around the jaw and on the forehead. 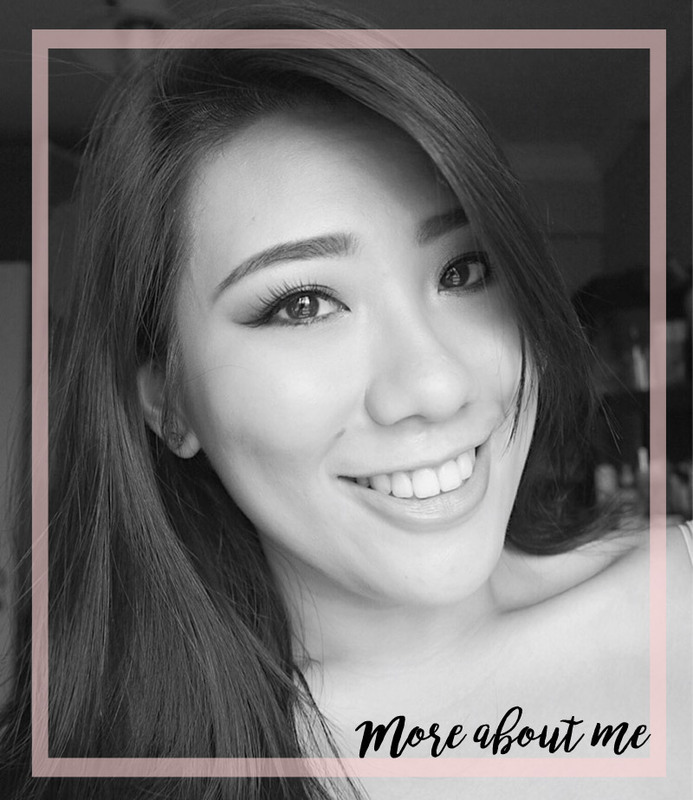 The next day, I did my typical makeup routine with foundation, concealer, brows, eyeshadow, bronzer, blush and highlighter and all was good. No buffing of the products should be done, as that can irritate the skin further and prevent proper healing. Thus, a damp sponge is the best way to go from here. The following day, however, my skin was peeling pretty badly. It looked like there was a plastic film over the skin and areas around my nose and forehead were peeling the most. This could be because those areas had the most texture, and the doctor focused majority of the fractional laser there. Not the best picture but hey, this is real life. Lipstick would have helped a great deal, I admit. You can see the skin is peeling pretty badly around the nose, cheeks and forehead. 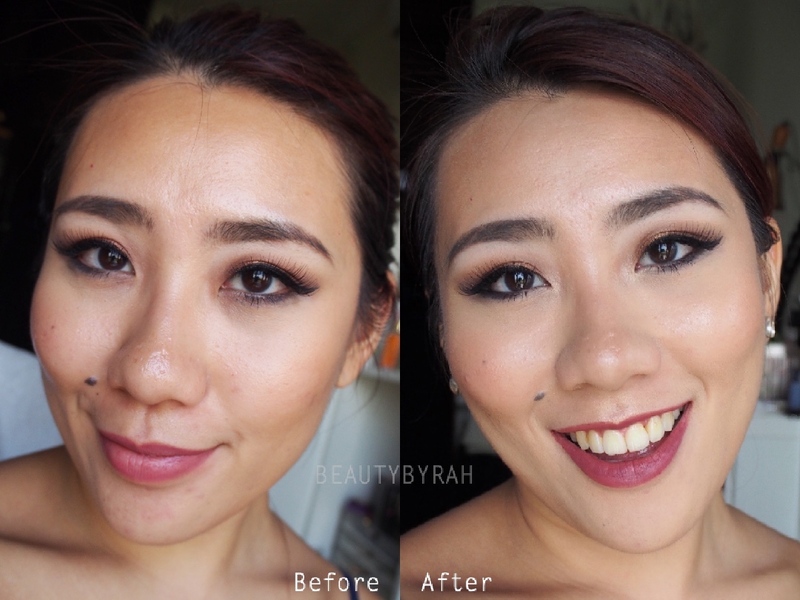 From day 2 to day 5, my foundation just creased and caked like no other. Thus, I did my brows, mascara and added a coat of lipstick before I headed off to work. Moral of the story : foundation ain't the best idea after all. The peeling of the skin took about 3 days before I noticed that my skin felt back to its normal texture. Overall, I feel that my downtime was about 6 days. After a full recovery, I did notice some improvements. 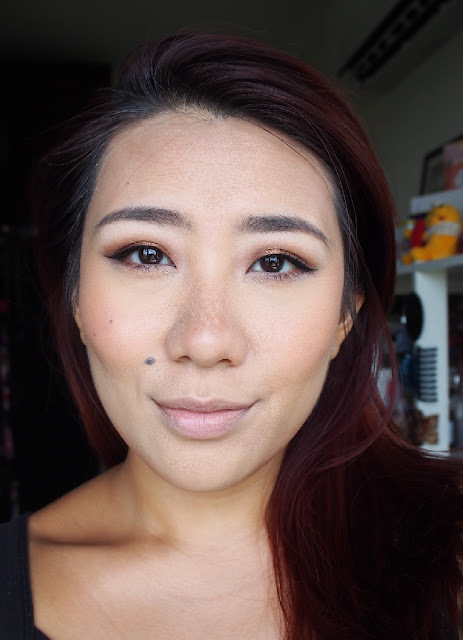 My dark spots on my cheeks seemed to have lighten a few shades. It is still visible, but I definitely do see the difference. Additionally, I noticed that the spots can be fully covered in 1.5 coats of my usual foundation (currently, the Maybelline Fit Me Matte and Poreless foundation) rather than 2. The indentations on my nose do look slightly less deep as well. Now, these craters are pretty significant due to my stupidity when I was 14 years old, so for me to see that it is slightly less deep, I’m pretty pleased by that. Of course, I do not expect any significant improvements in just one session but I definitely do think that with repeated sessions, issues like mine can be fully resolved. Time and patience is always needed for the journey to beautiful skin, am I right? I also realised that I am less oily throughout the day - sebum control is definitely improved. My T zone is not as shiny as the day passes and this is one result which I can surely attribute to the 360 solution. For skin tone wise, it is quite difficult for me to tell as I got sunburnt when I was in New York and that resulted in my skin becoming really even. 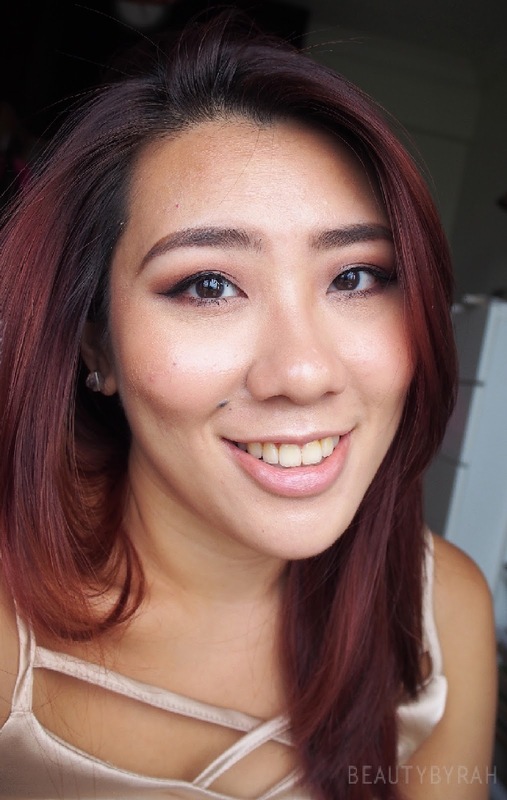 Even though I can see that my skin tone is more even now, I am not entirely sure if I can attribute that to the treatments or if it just my tan fading. Thus, I think I’ll pass on my judgement for this one. Lastly, in terms of firmness, I did see it immediately and about 2 days after the procedure was done. After, I did notice my skin going back to its couchpotato state. 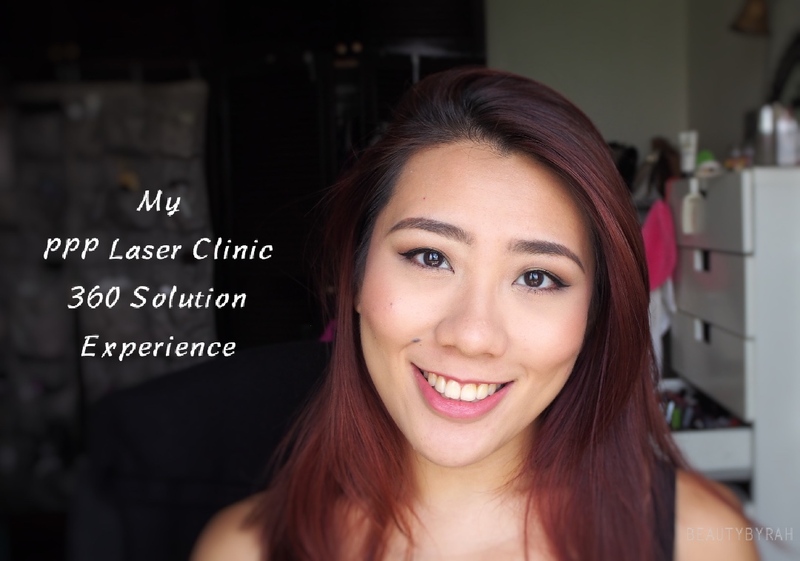 Overall, the PPP Laser Clinic's 360 Solution Taster Pack of these 5 various procedures cost SGD 360. I do not have experience with doing such procedures elsewhere so I cannot tell you my opinion on the price and value. However, the experience was very pleasant and considering how quick it was, I do see this being a plausible option for busy working people out there who just want to pop in and improve their skin. Downtime was not too long either, about a week, and after the first night, my skin did not hurt or sting. PPP Clinic has multiple locations island wide and appointment is not necessary. 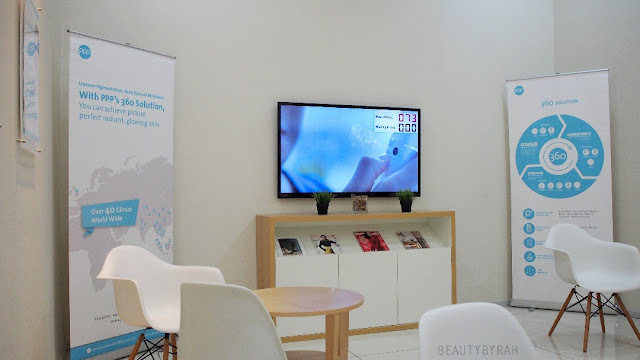 You just pop in, get yourself a queue number and you’re on your way to better skin. You can check out their website to see the number of people waiting in line as well, so you plan your time! For more details, check out PPP Laser Clinic's website here. Thank you to Absolute PR and PPP Laser Clinic for the kind invitation!